After NoLimitCoin launched NoLimitCoin Poker we ran a freeroll contest on the platform where the winner won a ticket to the World Series of Poker Main Event. 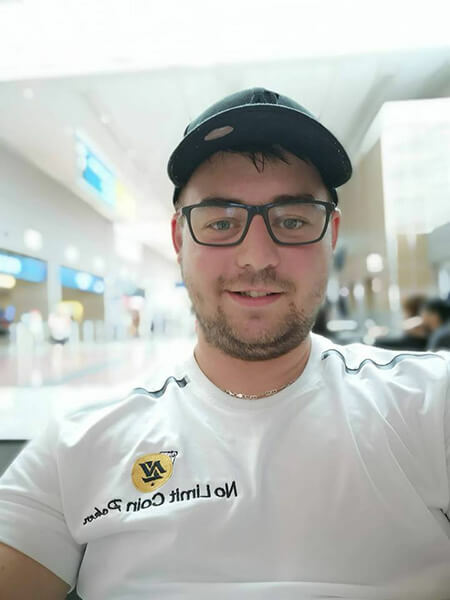 The winner was barik17 or Juraj Gavaľa from Slovakia, here is his written testimony of the trip. 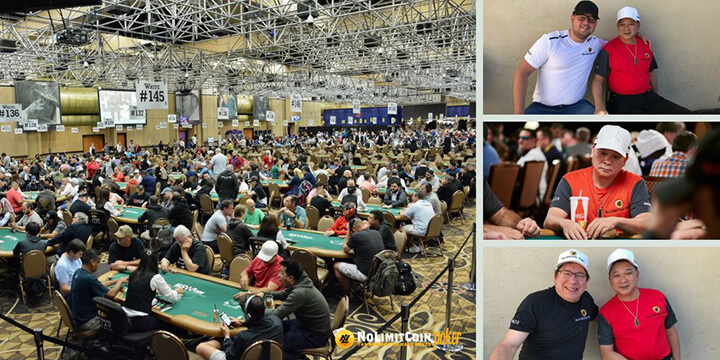 Juraj Gavaľa – My trip to WSOP main event trip to Las Vegas. Everything had started at 1 am when I won the final table of the WSOP Main Event Freeroll ticket tournament and beat 500 other poker players. Immediately after my win, I received an email congratulating me of my win. 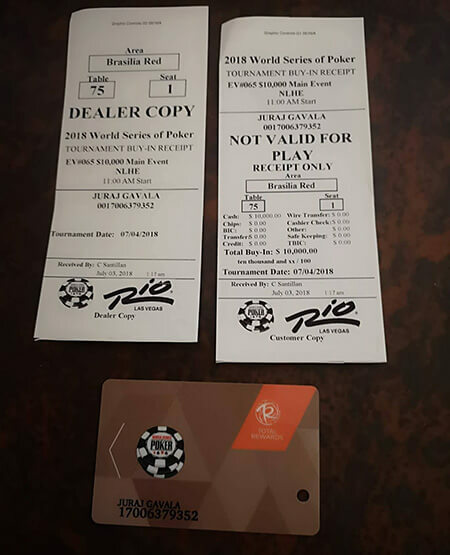 I knew that the main event is the most prestigious poker tournament in the world and that it was already taking place, so I was wondering whether I still have the time to arrange all the necessary documents. Also it was my very first trip to the USA! After a couple of hours my ESTA documents were confirmed and I was allowed to travel to the United States. Somewhere deep down I was wondering if there would be excuses from the NLC2 team that maybe it was too rushed, or it’s not possible for me to make it to the tournament in time. I have to admit that they reacted to all my requests and questions quickly and organised everything for my trip including paid flights, accommodation and main event ticket entry worth $10,000 USD. Now I just had to pack my things and fly out! To be honest, that night I did not sleep at all. I could not wait to take in the magical atmosphere of Las Vegas. 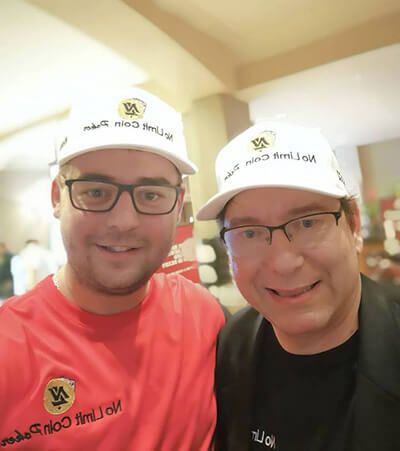 After my arrival at Rio All-Suits and Casino Hotel, I was welcomed by the great man and CEO of NoLimitCoin Rafael Groswirt who registered me to World Series of Poker tournament and also explained and showed everything to me. 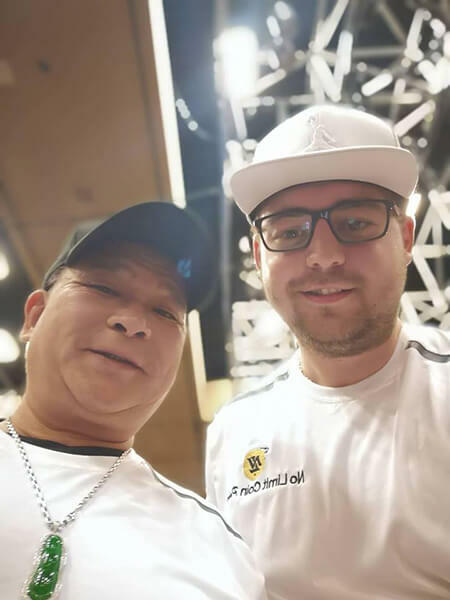 The next day I had to overcome my jetlag and attend a scheduled meeting with Johnny Chan, ten-times WSOP champion. Johnny congratulated me and also wished me good luck with WSOP and shared with me a couple of great tips. 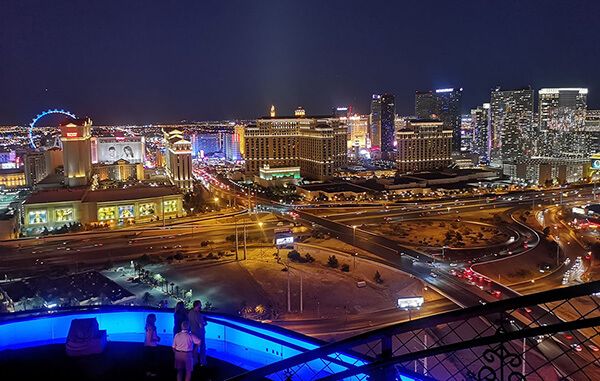 In the evening Rafael and another NoLimitCoin team member took us to VIP club on the roof of the hotel I was staying in. We had an incredible view over the whole city and finally we were able to talk. It was great to get to know a man that is so passionate about his project and has such a rich experience with cryptocurrencies. Before my time in the Main Event started I was tempted by all the different available casino games and emptied my wallet, very soon all of my pocket money was gone. I didn’t play poker but all the other games I have no clue about in the casino. With some games I was not sure – am I losing or am I winning? But the unique occasion to play in Vegas could easily be a once in a lifetime opportunity, so I enjoyed it. My time to play in the Main Event now started and I sat down with fifty thousand chips. Every 2 hours we had a 20 minute break and during that break it was impossible to get anywhere because there was around 3000 other players all on their break at the same time. It was inspiring and also a little daunting to see so many other players that all had the same dream as mine of winning the Main Event. Would you expect a bunch of serious and conservative people? No, the truth was quite different. Some players read books, some were listening to music, another player chatted via Messenger and was just comfortable sitting on his chair and letting the beautiful masseuse massage him. After the first two hours, my stress was gone as well and I just played my game. I believe that next year if I make it back again I will fight for my place at the final table. I would like to thank the team at NoLimitCoin that supported me morally and helped me to play my game well. My next few days in Las Vegas I spent chilling out. I had breakfast and went to play some cash game poker tables, later I was relaxing by the hotel pool, enjoying my cold drinks or exercising in the gym. That was the place where I met a few people that were also very comforting. Of course, I went to see Johnny Chan and another NLC2 team member Dan Hensley, I wanted to know how well are they doing while playing. 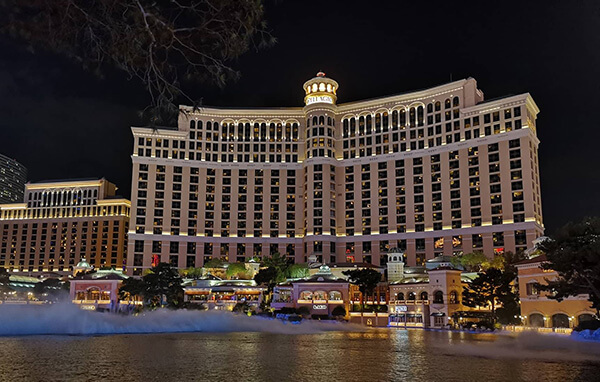 In the evening I went to check on the nightlife in the city that never sleeps and I also visited the famous casinos Caesar Palace or Bellagio. After five incredible days my American dream came to an end and there was a return flight waiting for me. 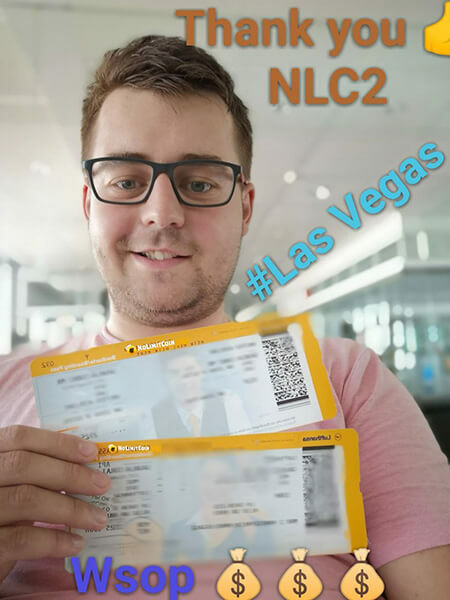 I have to say that the NLC2 team took great care of me and despite my English not being that great they were always nice and welcoming. To get to know somebody like Rafael Groswirt was very inspiring for me. He is continually working on improving the new poker and fantasy sports platforms and it is visible that he puts a lot of himself into his projects. This trip was a priceless experience and incredible opportunity to play poker with the best poker players in the world. 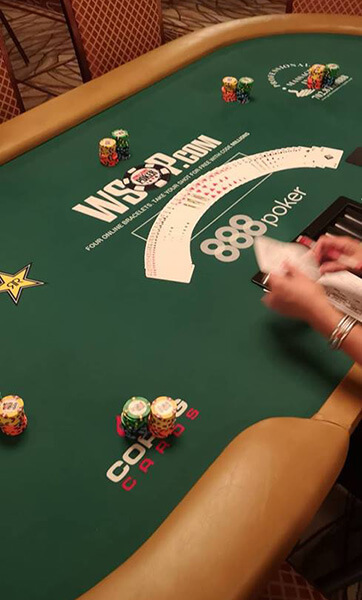 I do believe that this is just a first step on my journey and I hope to be back playing at the WSOP Main Event in the future and representing NoLimitCoin again.